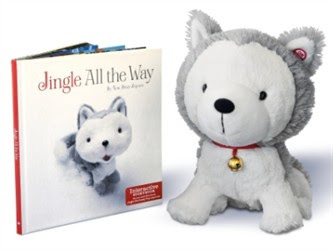 I may or may not have blogged about the cute Hallmark Jingle dog and book that my mum bought for Abi just before christmas? Abi just loved it and seemed to get so much enjoyment from it. In the box there was a list of all the other Hallmark books and characters that you could get. I was super excited to see that there was an Abigail!!! But then jsut the other day my sister called me! She was in a local newsagent to her and there was Abigail's there! 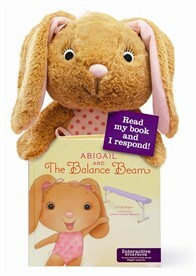 Now this is going to be the perfect Easter gift for Abi! I can not wait to give it to her!!! I'm going to place it at the end of her bed (cot) for when she wakes up! I always remember waking up on Easter Sunday to find our Easter gifts at the end of the bed and I can't wait to do the same with Abi! So cute, I'm sure she'll have a wonderful first Easter.